Fabanasho is not a fit quality model to be shown and will most likely stay on the farm all his life. 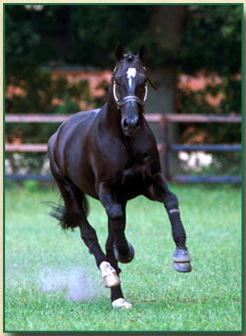 - Sire - Providence: Young jumping star in Europe. - Dam - EM Fair Lily: Elite Mare that was co-winner of the AHS Benchmark Award for best jumping mare and part of AHS Jumper Breeding program.